FRIDAY, Sept. 28, 2018 (American Heart Association) — At just a couple of calories a cup, good old black coffee packs quite a punch. It wakes you up, boosts your metabolic rate and decreases the risk of some diseases. 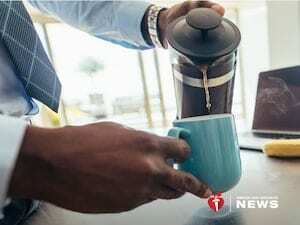 Higher consumption of coffee — caffeinated and decaf alike — was associated with a lower risk of total mortality, including deaths attributed to heart disease, nervous system diseases and suicide. More specifically, habitual coffee drinking has been linked to a lower risk of coronary heart disease in women.